I am using http-connector to call my rest service. Do we have any way to set optional query parameter in this? Can I have some example of that. 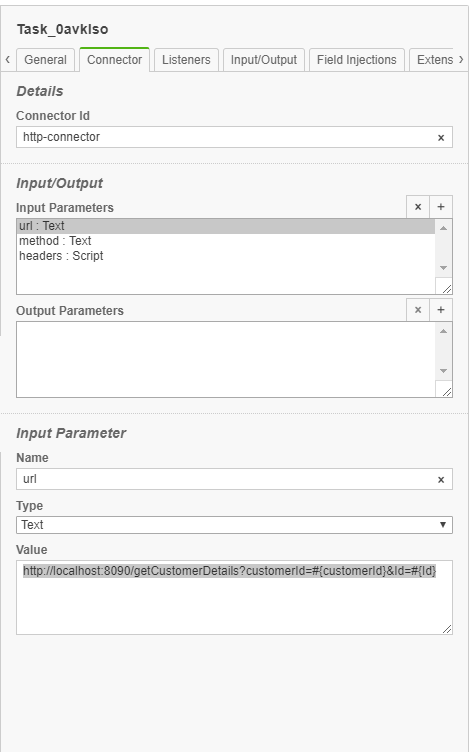 Here we can have either customerId or an Id or both in the Query parameter. This parameter has been introduced in the starting of process Instance as an string variable. See the scripting docs for Camunda that I linked to above. Read those in detail as they explain exactly how to access variables.